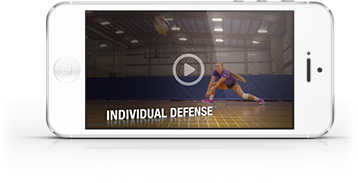 Mark Rosen, head volleyball coach at the University of Michigan, employs this high-intensity serving drill because it nicely replicates game scenarios. In both the drill and an actual game, players must stay calm under pressure, getting into the moment and serving tough no matter how much action just happened in the previous rally. This drill also helps passers stay calm as they try to achieve a perfect pass to zone.